How do you prepare bare metal for a RAPTOR application? Scuff surface with 80-180 grit sandpaper and apply 1-2 coats of RAPTOR Acid Etch Primer (UP5023). Allow to dry for 15-20 minutes before applying RAPTOR. If RAPTOR Acid Etch Primer is not available, any 2K DTM or Epoxy Primer can be used to prime bare metal (follow top coat directions for primer). How do you prepare aluminum for a RAPTOR application? Clean the aluminum with a wax and grease remover and sand with P180 grit sandpaper. Apply one to two coats of RAPTOR Acid Etch Primer (UP5023) and use RAPTOR Adhesion Promoter (UP5024) for hard to reach areas. Allow to dry 20 minutes before applying RAPTOR. How does reducing RAPTOR affect its durability? The durability of RAPTOR is strongly linked to its high film build. By adding reducer the film build will decrease and therefore some of its durability characteristics will decrease, although only slightly. Can you apply RAPTOR to wheel rims? Yes, RAPTOR can be applied to both steel and alloy wheels. The preparation is the same as the truck bed application: sand with 80-180 grit, use RAPTOR Acid Etch Primer (UP5023) or epoxy primer over exposed bare metal, and apply. How do you prepare plastic for a RAPTOR application? RAPTOR can be used on most plastic without much preparation. Scuff the plastic with 180-240 grit sand paper or red scotch and then apply an adhesion promoter, like RAPTOR Adhestion Promoter (UP5024). Wait about 20 minutes before applying RAPTOR. How do you prepare wood for a RAPTOR application? If the wood has been pre-treated or painted, clean the wood of any contaminates. If cleaned with water, allow to dry first. Lightly sand any painted areas. Once dry, apply RAPTOR. How do you prepare plywood for a RAPTOR application? Blow off the surface to remove dust. Light sanding is “OK” but generally RAPTOR can be directly applied to wood and plywood substrates. How do you prepare concrete for a RAPTOR application? As long as the concrete is clean, dry, and free of oil you can apply RAPTOR directly to concrete. If concrete is sealed, a rotary floor sander can be used to abrade surface. Any petroleum based surface contaminates should first be cleaned with a suitable cleaning solution to neutralize the contamination. How do you prepare fiberglass for a RAPTOR application? Scuff the surface with 100-120 grit sand paper and degreased before applying RAPTOR. An adhesion promoter, like RAPTOR Adhesion Promoter (UP5024) can be used in hard to reach areas and for optimum adhesion. Can RAPTOR be applied on top of a basecoat? Yes, it can be applied to both solvent and water borne base coat. Follow basecoat manufacturer’s drying times prior to over coating. How do you prepare OEM E-Coat for a RAPTOR application? Clean the surface with wax and grease remover and scuff the surface with red / maroon scuff pad. Re-clean the surface before applying RAPTOR. How do you prepare a 2 part Epoxy Primer for a RAPTOR application? Follow the epoxy primer manufacturer’s recommendations for top coating. Generally, after primer is dry / cured, sand surface with 280-360) grit sandpaper, or whatever grit recommended by the manufacturer for top coat application, blow off, and re-clean if necessary before applying RAPTOR. How do you prepare powder coat for a RAPTOR application? Clean the surface with wax and grease remover and lightly sand with 180 grit sandpaper before applying RAPTOR. How do you prepare ferrous chloride for a RAPTOR application? Ferrous chloride is a salt and will readily absorb moisture. Most coatings over salts may suffer from early blistering and/or corrosion of the substrate. It is not recommended that RAPTOR be used in this situation. Strip away the ferrous chloride either chemically or mechanically, and then degrease the substrate. Clean the surface before applying RAPTOR. Can RAPTOR be applied over rubber? U-POL has not tested RAPTOR on rubber; however many flexible vehicle parts are actually plastics, like TPO, EDPM or PP. Can RAPTOR be used on a boat? Is it completely water tight? RAPTOR is a water tight coating once fully cured and can be used for many marine applications. Let RAPTOR cure completely for approximately 72 hours before immersing in water. RAPTOR will also hide a multitude of problems, like crazing, pitting and scratches. Sand the crazed gel coat with 100-120 grit sandpaper before applying RAPTOR over areas, including below the water line. RAPTOR will perform below the water line for exterior protection but not as a water sealant. First, repair the damaged gel coat with FIBRAL (UP0717), FIBRAL LITE (UP0700), or SMC bonding filler (UPO777 or UPO779) to seal the surface. Applying RAPTOR with a roller will produce very good textures. Care must be taken when applying with a roller because softness will occur if RAPTOR is applied too thickly. Make sure that a medium coat is applied with the roller so that the RAPTOR can cure and harden so scratch resistance will still be maintained. What type of roller should be used to apply RAPTOR? Use a coarse textured foam roller (such as one used for heavy textured coatings) for the best finish, but other types of rollers can be used depending on the final texture desired. What size gun tip should I use to spray RAPTOR? Depending on the texture desired, once reduced, RAPTOR can generally be applied with a nozzle set from about a 1.4 up to a 2.0. Once it is reduced to the 20% (or slightly more) it is possible to spray it through a smaller nozzle set (1.2 - 1.3) however, the film build will be pretty thin and it may not have the same chip resistance that it does when applied with a larger nozzle set. In reality, it all depends on the look, finish and texture that you want to achieve. What PSI should I set my UP0726 RAPTOR Application Gun to? Typically, 45-60 PSI is recommended. Higher or lower PSI can also be used, but it’s recommended you spray a test panel first to make sure the texture is what you’re looking for. How do you use automotive paint tape with RAPTOR? Wait between 60-90 minutes after applying your final coat of RAPTOR before removing the tape. How many coats of RAPTOR can be applied? The recommended RAPTOR application is 2-3 coats with a 60 minute flash time between coats. If further build is needed, it is recommended to carry this out in several applications. For instance, apply the first 2-3 coats, bake or allow 24-hours to dry and then apply another 2-3 coats, etc. The key is to allow as much solvent to evaporate from each layer before adding subsequent layers. If the process is carried out too fast, RAPTOR may remain soft and take longer to fully cure. How long do I need to wait to recoat RAPTOR after applied? RAPTOR can generally be re-coated after 24 hours. Scuff it with a red scuff pad, clean with wax and grease remover, apply the next coat of RAPTOR. What if I need to touch up or repair my application? Cured RAPTOR can easily be touched up. Just clean the surface, sand and featheredge a few inches into the surrounding area, re-clean, and mix and apply as usual. No need to prime again unless you sand down to bare metal. Remember, if it's been more than 5 hours since the last coat of RAPTOR has been applied, allow RAPTOR to cure for 24 hours, then lightly scuff and apply additional coat(s). Can I remove RAPTOR once it is fully cured? RAPTOR is a coating made to last, so it is difficult to remove once cured. Once RAPTOR is cured, remove by sanding it off with P80 grit sandpaper either down to the original substrate or to bare metal. Then, respray the surface with another coating, like OEM paint colors (required). How long do I need to wait before RAPTOR is exposed to rain or water? How thick should RAPTOR be per coat? The average MIL thickness for RAPTOR is 7-10 Mil per coat. Applying 2 medium coats of RAPTOR is recommended. Mil build is - 1 Coat: 230μ (9.0 MILs) 2 Coats: 475μ (18.7 MILs). Measurements are approximate and are dependent on the application method. What is the square footage RAPTOR covers in a sprayed application? In what temperature range should RAPTOR be applied within? The best temperature to apply RAPTOR is between 60-70°F. It is not recommended for application below 40°F. When RAPTOR is applied at the lower temperatures, the dry and cure time is significantly extended. Can RAPTOR be dry baked? Yes, Raptor can be baked for 30 minutes at 140°F. Baking will speed up the initial drying but not the through cure. It is still recommended waiting 7 days for heavy duty use and 72 hours before exposure to water. What size air compressor do I need to spray RAPTOR? A 6 HP compressor that generates 150 PSI line pressure should provide sufficient air supply, but is dependent on the application equipment / gun (Shultz type or gravity feed HVLP) used to apply the RAPTOR. Do I need a compressor that filters water out? The air sucked through a compressor can be quite damp and if you are painting in a humid area this can have a negative effect on the performance of the paint. Most compressors that can reach a suitable pressure will have an internal filter that takes out water from the inlet air. If humidity is high then this is critical, whilst if it is low then it is less important. As best practice and to avoid the risk we always recommend use of a compressor with a water filter. Will the dark color of the RAPTOR Anti-Corrosive Epoxy Primer show through a light colored application of RAPTOR? As long as the light colored application of RAPTOR is sprayed to full opacity, then the dark tone of the epoxy primer will not be an issue. You may see a slight off color after the first coat of RAPTOR, but this will disappear after the second coat is applied. This is true even with White RAPTOR. How do I clean overspray after a RAPTOR application? For cleaning overspray, the quicker you remove it the easier it will be. 2k thinners will remove light overspray. Do not uses thinners to remove RAPTOR from TPA/ 1K coatings as it will soften the coating. A coarse compound and mechanical polisher would also remove light overspray from OEM paint work but care must be taken not to burn through the coating underneath. For RAPTOR overspray over RAPTOR, this will be more difficult to remove. For best result, abrade the area and re-coat. Overspray on glass can be removed with a glass blade or Stanley blade when wearing the correct PPE. Can RAPTOR be applied over POR-15? POR-15 is not manufactured by U-POL, and we have not done compatibility testing between RAPTOR and POR-15, but we can share anecdotal experience. Most likely, there shouldn’t be any issue as long as you sand with 180 - 220 for mechanical adhesion prior to application of the RAPTOR. What is the square footage RAPTOR covers in a roll on application? Typical coverage per liter is 65 ft² (6.0 m²) per 2 coat. What is the mix ratio by volume and by weight? A. Volume - 3 parts RAPTOR – 1 part hardener – 10% color. B. 100g RAPTOR - 30g hardener and - up to 10g tint. 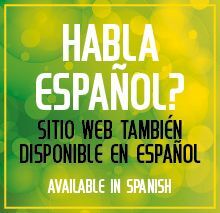 Refer to online TDS sheet for additional quantities. C. 25.36 oz. RAPTOR (1 bottle) – 8.25 oz hardener – 3 oz tint. Yes, RAPTOR can be reduced up to 20%. When reducing RAPTOR, use a urethane based reducer. How do you tint RAPTOR? Visit your local automotive paint (PBE) supply store, and they can help you color match. RAPTOR is compatible with any solvent based color, including 2K acrylic solid color and mixed acrylic basecoats, and can be added up to 10% by volume (ask your paint supplier to leave out the binders if possible for best pigment density). NOTE: Acrylic basecoat toners tend to have high color strength so use sparingly (less than 10% tint by volume). RAPTOR cannot be used with water based, polyester, or enamel paints. Can RAPTOR be tinted with standard toners? Yes, RAPTOR has been designed to be tinted with standard solvent-borne base coats. How do you change the color after an incorrect color has been sprayed? If the colors are quite close to each other, reapply with the RAPTOR tinted to the correct shade. Please note that, if RAPTOR should chip under extreme duty conditions, the underlying colors it will show through. If the colors are not close, it will be necessary to sand and re-apply. Does the opaque color of tintable RAPTOR lighten up the tint colour? How can I get a brilliant colour? For best color match results, tintable RAPTOR requires a solvent color. Various paint lines may have stronger or weaker toners so final color may vary. Ask your paint supplier to leave any binder or balancer out of the formulation if possible so it is pure pigment. Can tint be added to the black or white kits, for example, to make gray? Yes, tint can be added to the black or white kits as well. If you're looking to match a color code, it may be hard to do this way. Suggested that you conduct a test spray out to determine if the color and look is acceptable prior to general application. Can you use metallic toners in RAPTOR? Metallic toners can be used however, you may experience "metallic burying" and the RAPTOR may not have the exact look that you are attempting to match. Our suggestion is to conduct a test spray-out before committing to the whole project. How do you create a dull or less-glossy look? Most paint manufacturers provide proprietary matting agents that are used in other 2K products, and these are suitable for use in RAPTOR. Follow the manufacturer’s recommendations. Please note this may reduce RAPTOR’s flexibility. What type of finish does RAPTOR have? Will it attract dirt? RAPTOR dries as a hard satin gloss finish. It won’t attract dirt and is easy to clean. On its own, RAPTOR is not skid resistant, or non-slip. For a non-skid surface on walkways, mix RAPTOR Slip-Resistant Additive (UP4800) into to the final coat before applying. How can I get a textured grip finish? Mix RAPTOR Slip-Resistant Additive (UP4800) into the final coat before applying for a textured grip finish. RAPTOR Slip-Resistant Additive will only work through a standard application gun. How do I get a smoother, less textured finish? There are two ways to get a smoother finish. 1). Turn up the PSI on the gun. 2). Add reducer as per the TDS instructions. For instance, you could use an HVLP gravity fed gun with a 1.6-2.0mm nozzle setup. Add 15% urethane reducer when mixing RAPTOR. Set your gun at 29 PSI. At a distance of about 1/2 a foot, spray the first coat as an even wet coat. After flashing, reduce the pressure and material flow to achieve a fine mist for the second coat. How do you paint over RAPTOR? Allow 24 hours for RAPTOR to fully cure. How do I add more gloss to my RAPTOR application? Can a 2K clearcoat be sprayed over RAPTOR to increase the gloss level? RAPTOR can be topcoated, but generally, it's not needed. RAPTOR dries to a semi-gloss/eggshell finish, which most people find to be plenty of gloss. Clearcoats do not have the same level of durability as RAPTOR and are more likely to chip under heavy duty use. Lightly abrade fully cured RAPTOR with a gray scuff pad. U-POL 2K clearcoats, like UP2882 and UP2872V, use the same resin system as RAPTOR so U-POL clearcoats will give the best results. What does White RAPTOR look like? White RAPTOR is General Motors Summit White Color Code: 8624, commonly referred to as “Olympic” or “Fleet” White. Activated RAPTOR Black and Tintable are NOT isocyanate free because the hardener used does contain isocyanates. What is the Shore Hardness of RAPTOR? The typical Shore D Hardness Value for fully cured RAPTOR of 85. Does RAPTOR contain any rubber? RAPTOR is a thick urethane coating and does not contain any rubber. The texture is controlled and created by the application. Lower air pressure gives a rougher texture, while higher air pressure gives a thick orange peel effect. 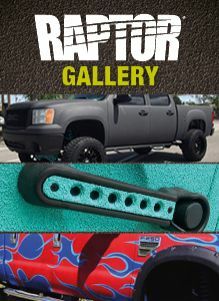 Unlike most of the other DIY bed liners out there, RAPTOR is 2-part urethane product, which gives great UV stability and impact resistant without the use of additives like rubber. What is the maximum temperature RAPTOR can handle after applied? 212°F. At sustained temps above 212°F, some softening could occur. Can RAPTOR be exposed to gasoline after applied? RAPTOR can withstand some exposure to gasoline. If the area will be submerged in gasoline, RAPTOR should not be used, as there may be some surface softening from prolonged exposure. Does RAPTOR act like a heat barrier or insulator? Can RAPTOR liner be used as a sound deadener﻿? How long will RAPTOR last once applied to substrates? The life of RAPTOR once applied can depend on application method, film build, quality of preparation and substrate. We have tested RAPTOR against other products in the market and have laboratory test data which proves better performance. When applied correctly, RAPTOR will last for years and is very easy to repair if necessary. It has excellent U.V. stability and will not fade. The RAPTOR Land rover we have done in the UK was painted in 2015 and has travelled all over the UK on the road. It still looks as good as the day it was painted, with no defects. What is the shelf life of RAPTOR? The shelf life of an unopened RAPTOR kit is 2 years from the date of manufacture. How can one 4 Bottle Kit of RAPTOR cover more area than competitor truck bed liners? A RAPTOR Kit has a full 4 Bottles of sprayable product, where most competitors only provide around 2L of product in a kit. The RAPTOR Kit is designed so that one kit will cover an average truck bed. What is the difference between the National Rule, 2.6 VOC, and 1.7 VOC? Each US state has adopted its own regulatory limits for the amount of volatile chemicals allowed to be released by paints and coatings. National Rule meets the requirements for most of the USA. 2.6 VOC meets the regulations for a majority of what are called "Low VOC Areas", like Maryland, Delaware, Utah, and a majority of California. 1.7 VOC meets the regulations for the strictest VOC regulations, like in Sacramento County California. Another way to put it is UP0820 is standard RAPTOR. UP0820V is a more environmentally friendly formula, and the UP0825 is the most environmentally friendly. 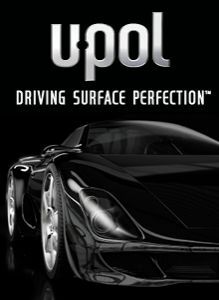 Keep in mind that U-POL has worked tediously to ensure that you do not notice a difference in application, technical properties, and most importantly, performance among the three formulas a RAPTOR. If you have further questions about which formula to use, check with your local or state regulatory office for their regulatory limits on VOCs or volatile chemicals in automotive paint products and coatings.